Don’t judge a book by its cover. This is a blockbuster tour through WebGL, with many performance optimizations and considerations not commonly found in other texts. Like typical gems collections, each chapter is written by a different author and focuses on one aspect of WebGL coding. There is a lot of coverage here, and I found the authors’ expertise to be second to none. While maybe not apt as a beginner’s tutorial, I would definitely recommend getting this if you already have some WebGL chops and want to up your game. 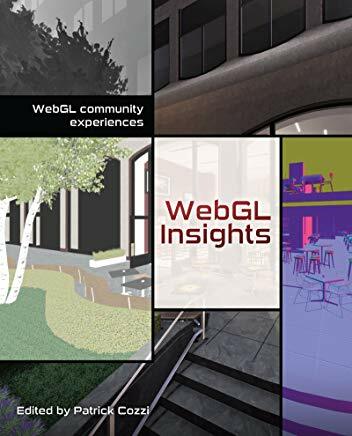 WebGL Insights starts with some inspection of the back-end of WebGL in Mozilla’s implementation as well as how ANGLE fits into the picture. A chapter on Emscripten and mobile optimization. Engine design from several different authors. Deferred and HDR image-based lighting. Finally ending with visualization and user interaction. While not everything here was immediately relevant for gaming, I did find lots of little nuggets of information dispersed throughout. So overall a stellar book. I was kind of put off by the cover, but the reviews looked good and I recognized some of the authors, so I picked it up. 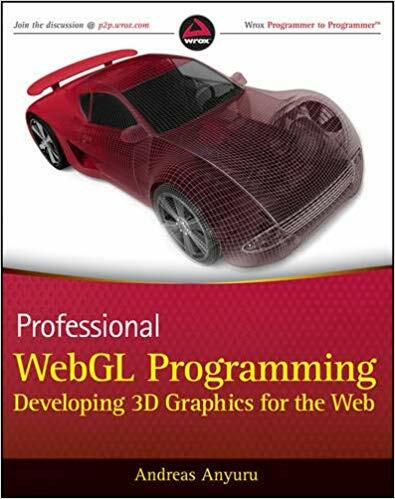 Definitely a great book for anyone interested in WebGL coding, especially since this text covers optimization techniques not found elsewhere. As it is more of an intermediate to advanced resource, I would recommend reading a beginner’s book first if you are just starting in WebGL. Otherwise, you should definitely grab this one, well worth it. Of the top WebGL books I’ve read so far, I think I can say this one is the best. Not only is it well written, but it includes lots of detail about how rendering APIs work, 3d math, lighting concepts, and even some performance considerations at the end. It’s not a very long book, but it covers the fundamentals well. I also enjoyed that the author stuck to the base WebGL API and did not confuse matters with frameworks like Three.js. He did use some libraries, like glMatrix in particular, but this is fair as coding the math by scratch (while doable) is out of scope of the material presented. There are quite a lot of topics covered, even for a somewhat smaller book. I read on a 10″ Android tablet and everything was formatted correctly and looked nice. The author first explains what a graphics API is and the graphics pipeline. Then he goes on to show differences with other APIs like DirectX and OpenGL, and dives into 3d mathematics briefly. He continues with WebGL concepts like drawing a triangle, debugging, transformations, handling lost context and updating, textures, basic lighting techniques, and caps off with some optimizations tips. While there is quite a lot that is not included, I found the coverage to be sufficient and I could tell the author knew what he was talking about. Overall, I feel good about this book. Andreas Anyuru is a talented author and explains everything very well, it makes it look easy. You still might want to combine this with some of the other books available to get the full picture, but this would be great as a first entry point into WebGL. Nicholas C. Zakas does a great job here of showing all the new functionality in ECMAScript, and also how it compares to the older standard. The chapters in the book delve into block bindings, strings and regular expressions, functions, destructuring, symbols, sets and maps, iterators and generators, classes, promises, proxies, and modules. Each code example is self-contained, and the author shows a number of samples for each concept, making it easier to understand step by step. He even starts with how it was done in ES5, so you can see familiar concepts transformed into their modern equivalents. I learned quite a lot here from this text, and feel like I’m ready to start coding in ES6, even though this was the first book I read on the topic. It’s that good.